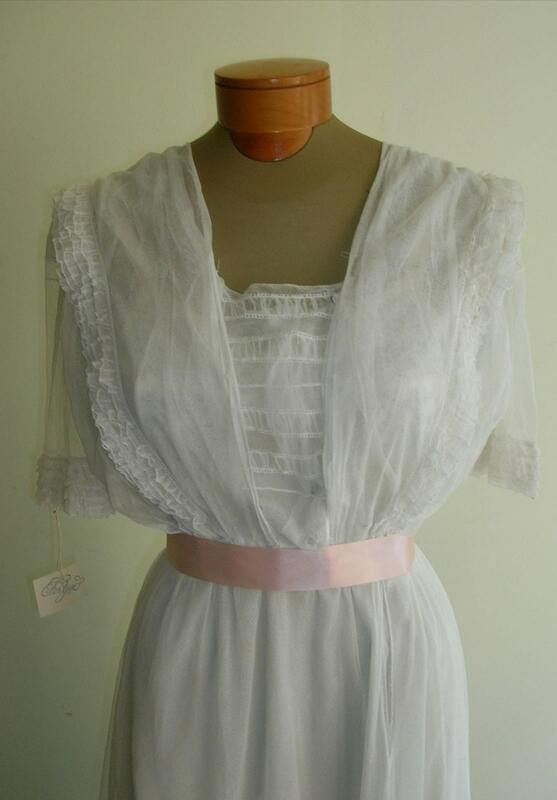 1918 White net, layered middy wedding or tea gown. bodice has laced edged lapels, or reveres, with a short lace edged sleeve from under reveres. 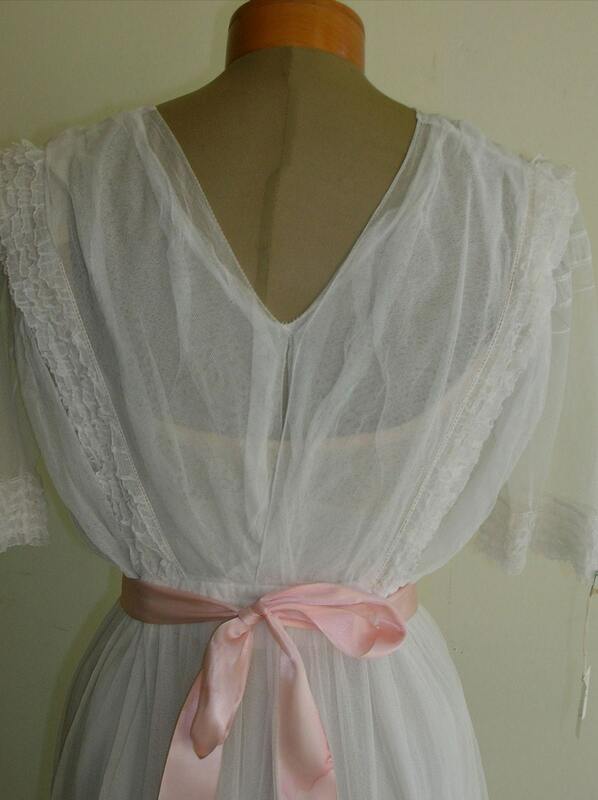 The V front of the bodice has small vertical tucks. Underneath is a hook and eye enclosed net modesty vest. The bodice is slightly high waistband has hook and eye enclosures down front of bodice to waist to side opening. Skirt of dress has an attached net under skirt with a lace band hem. 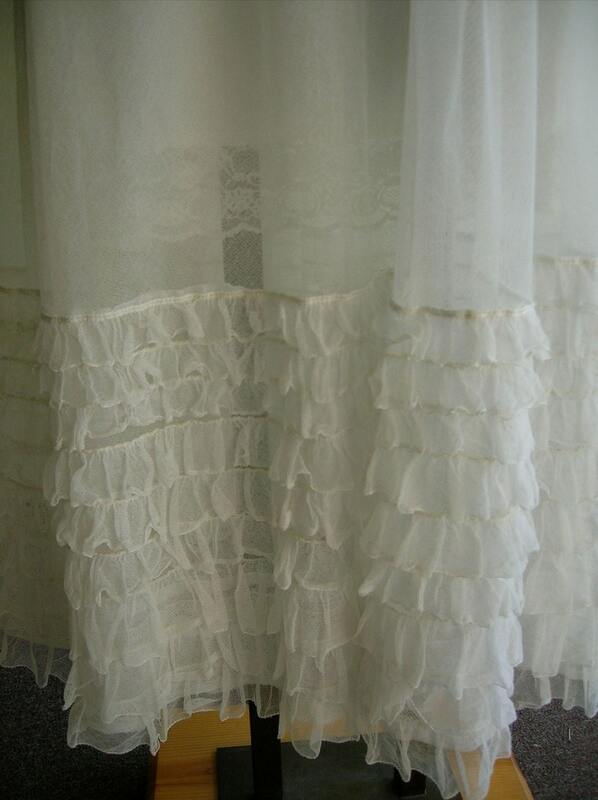 Over skirt is of plain cotton net from waist to calf, ending in a deep flounce with eight small net ruffles running horizontally around bottom of skirt. Measurements: Shoulder to shoulder 17" shoulder to waist 15" waist to hem 34" bust 38" waist 31" sleeves 9 1/2" neck opening 9" wide 6" deep flounce 14 1/2" long. Condition: Very good, small mending by left hip.